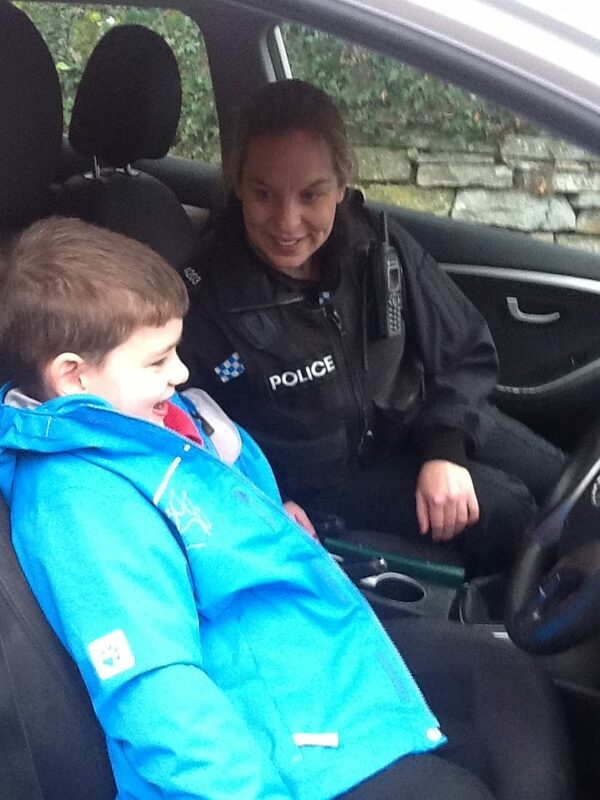 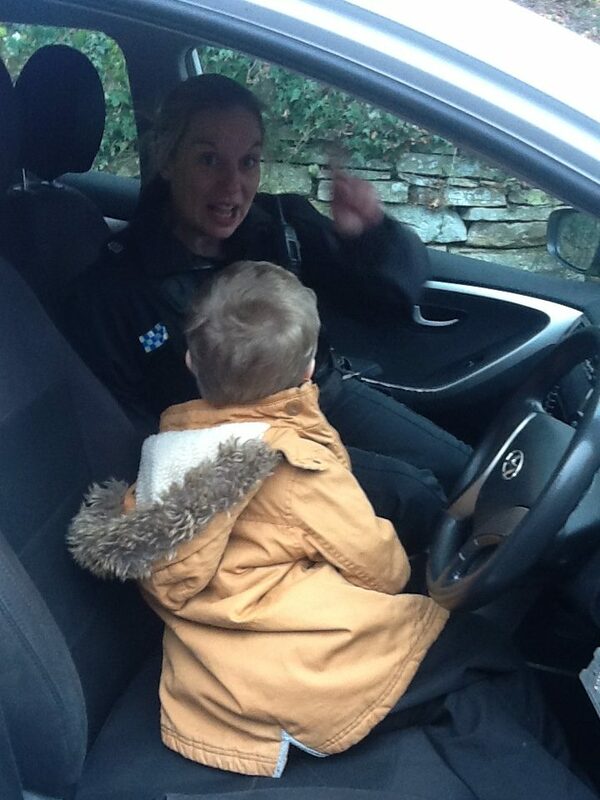 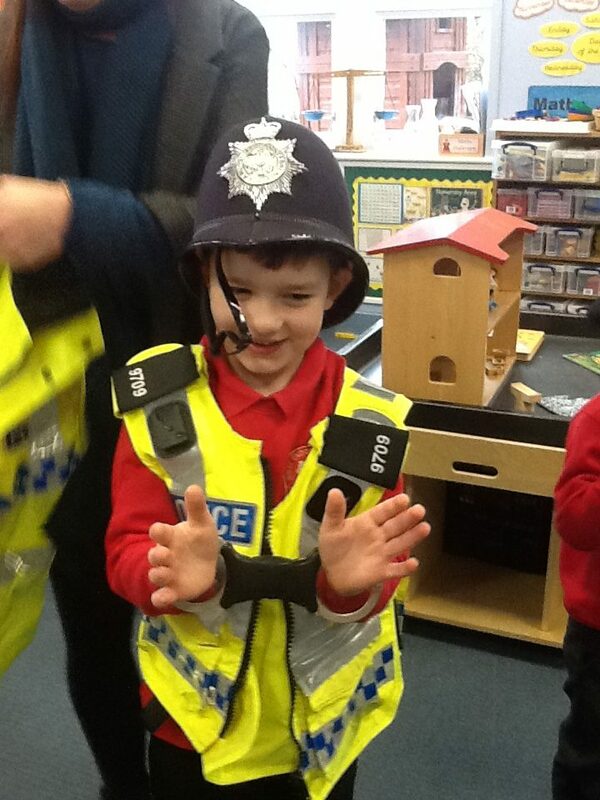 We were lucky enough to meet a real Police lady and a Community Support Officer. 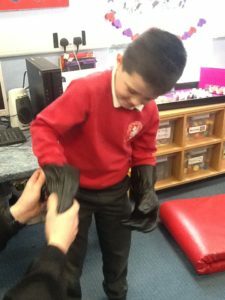 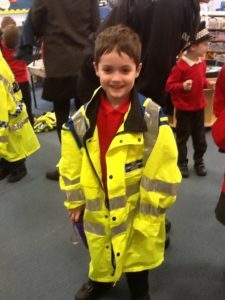 they brought all of their work equipment with them for us to look at and some of the younger children were even lucky enough to try on the jackets and hats! 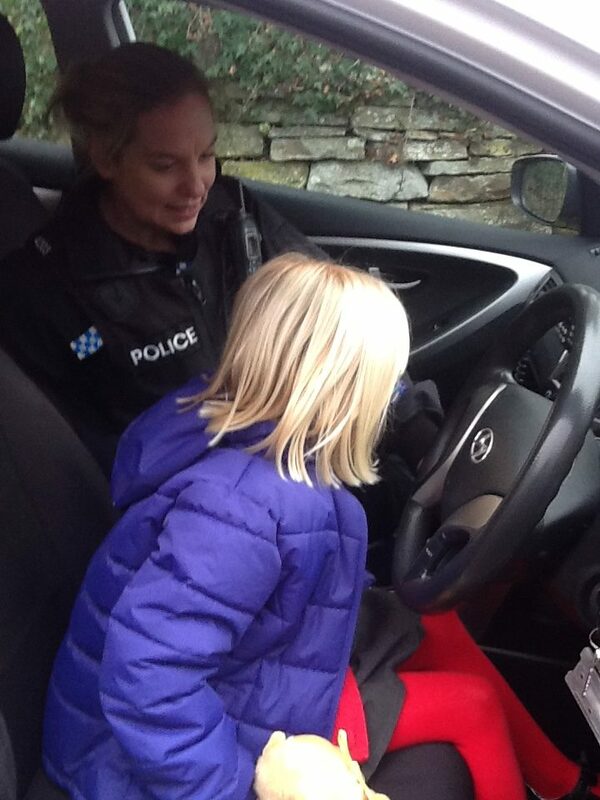 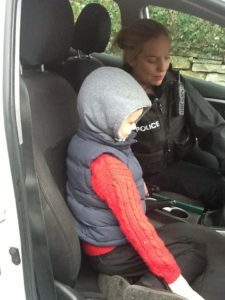 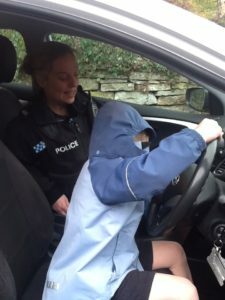 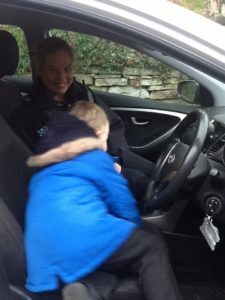 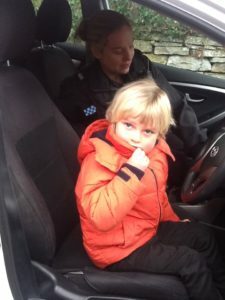 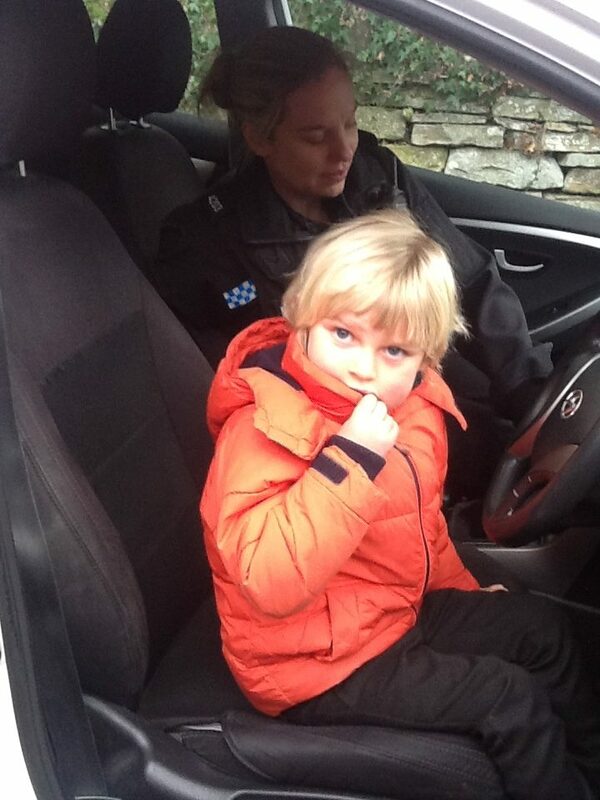 When we went to see the police car, we got to sit in the car and look at how they put the flashing lights on and make the siren really noisy to let everyone know they are coming. 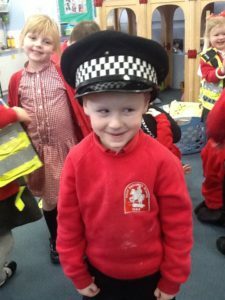 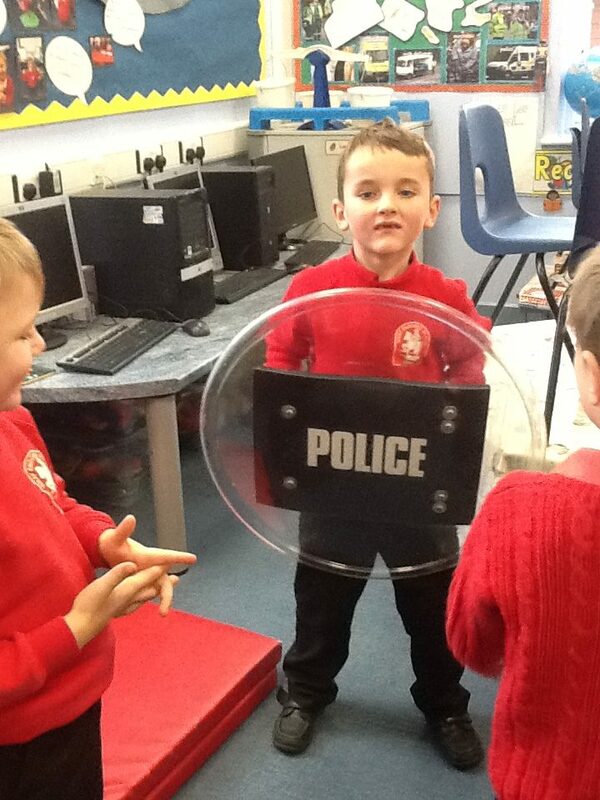 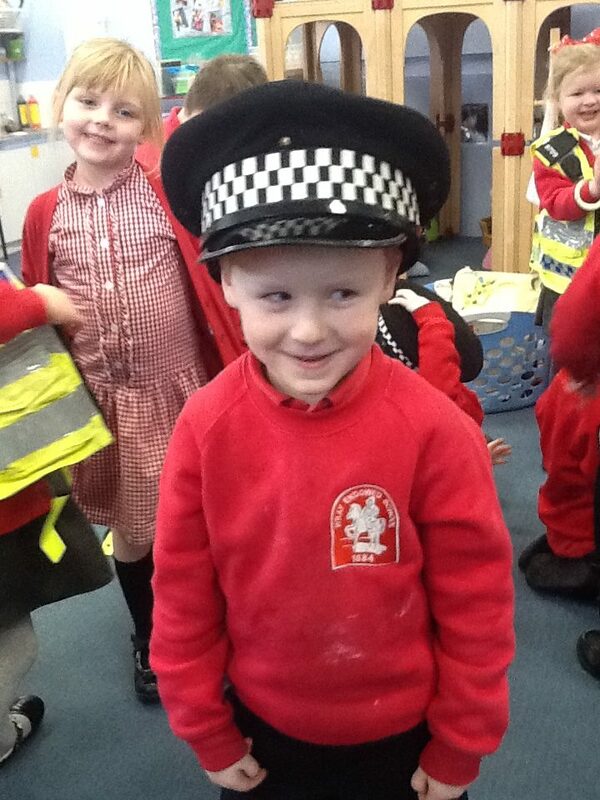 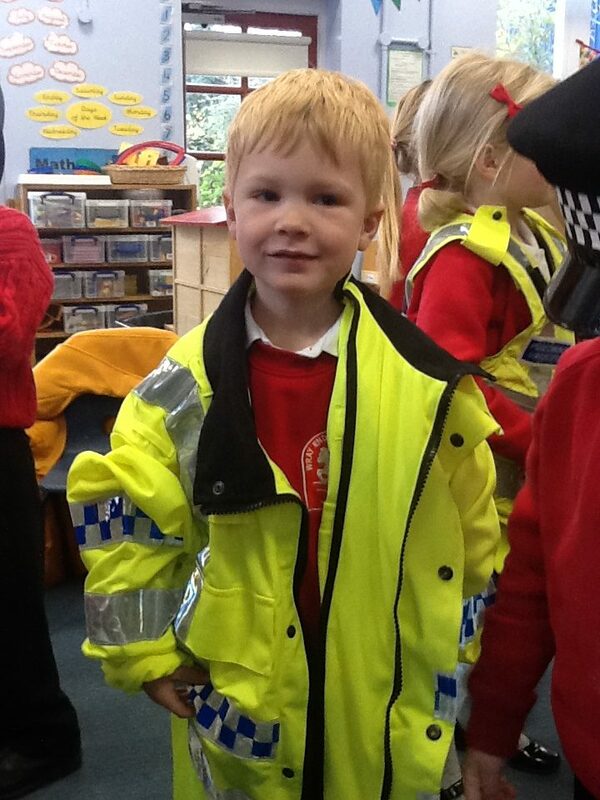 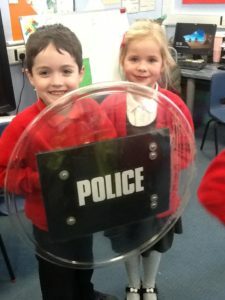 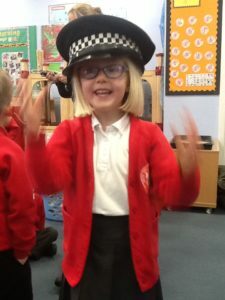 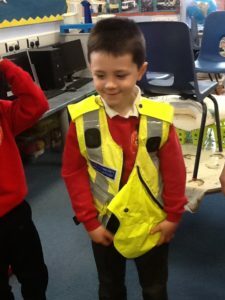 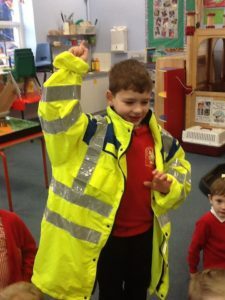 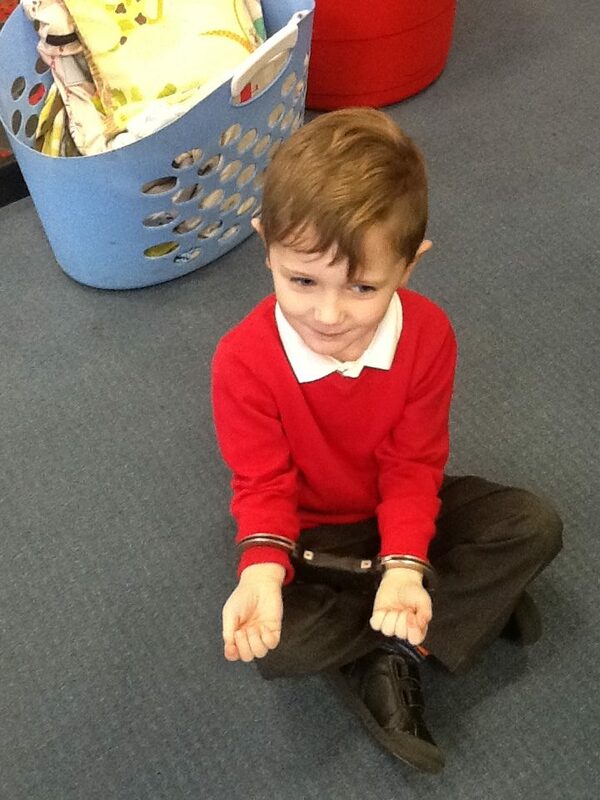 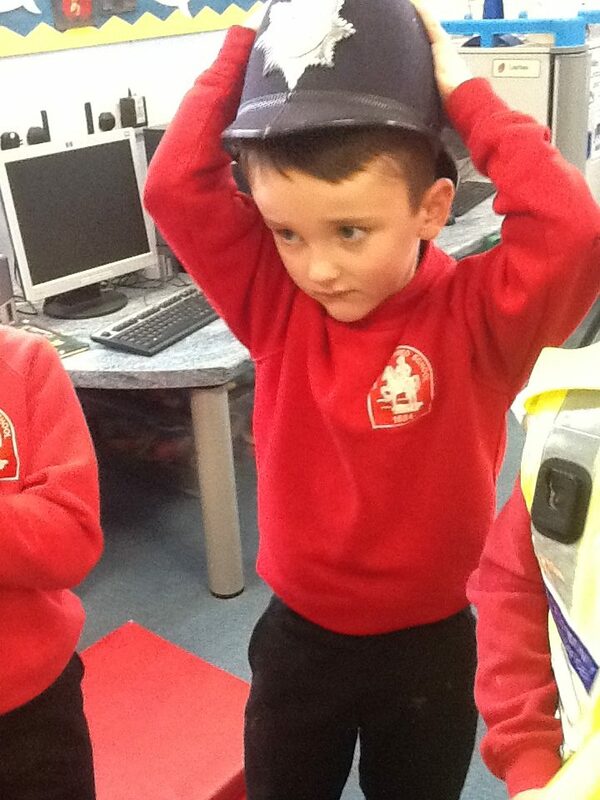 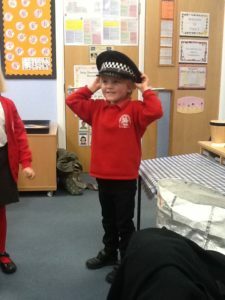 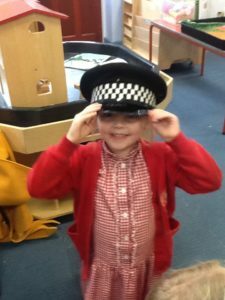 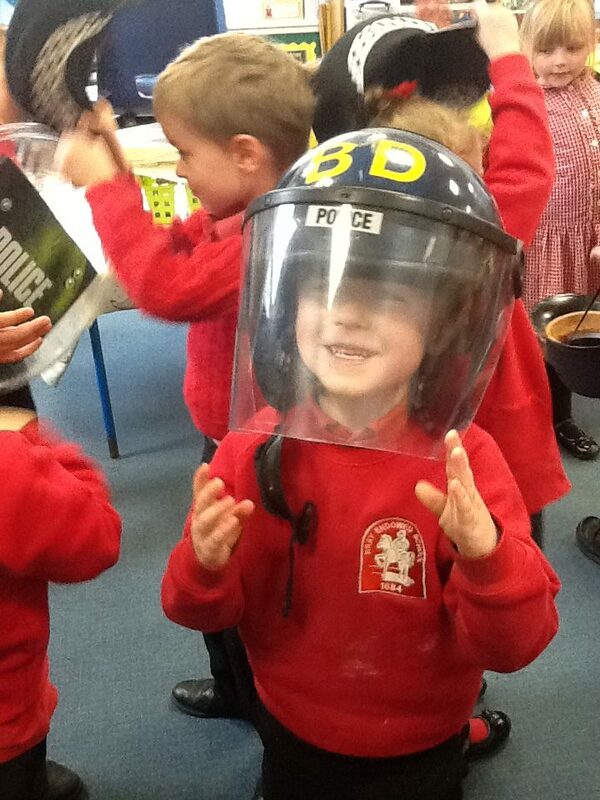 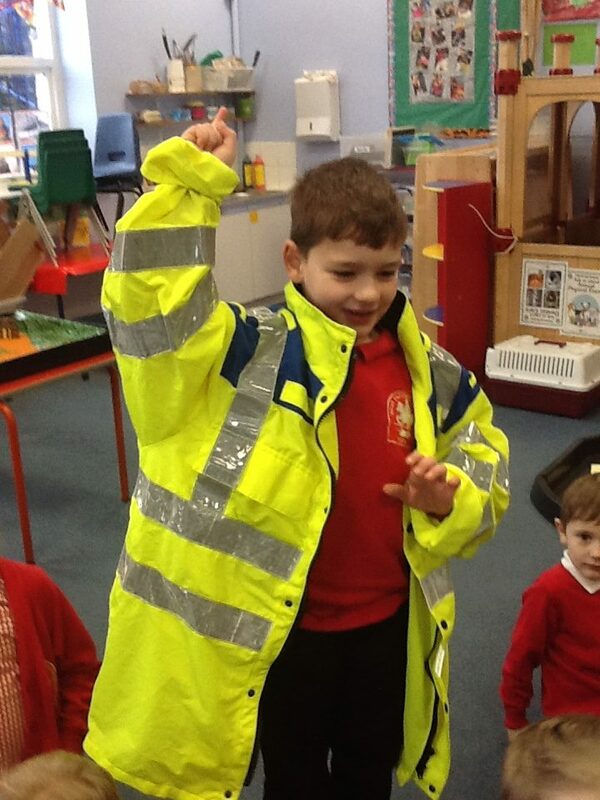 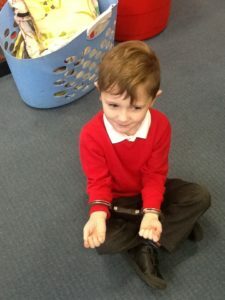 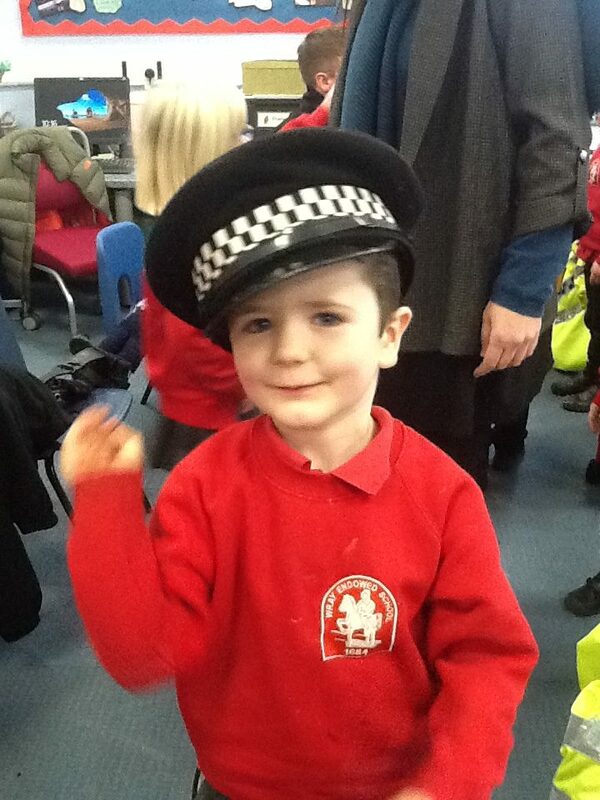 Lots of us, especially in Class 1, have now decided that we would like to be in the police when we are older.